Dress A Girl Around the World is part of a larger ministry called Hope 4 Women International (H4WI) that sponsors women in Uganda and the Philippines with micro-loans for them to begin small businesses. 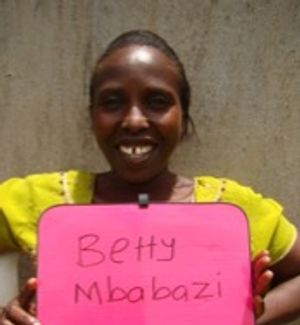 Sponsorship can change the life of a woman and her family. The ladies enter a one year program where they receive training in Math, English, Reading and Biblical Principles of Business. They also receive gardening supplies and training in how to make a garden grow in their area. For just $36 a month, you can change the life of a woman and her family. Email Lisa@h4wi.org for more information. Harriet is 49 years old. She is the fourth born out of four children. She dropped out of school in form 4 because she lacked school fees. She is a mother of 5 children: Cosmas (22), Mercy (20), Emmanuel (18), Faith (16) and Angel (14). She got married to her late husband who was a business man in 1995 and produced with him 5 children. Life has been hard for Harriet financially since the death of her husband in 2001. Her current business is of selling of second hand clothes with a capital of 60,000 shillings. The profits she gets are not enough to sustain the business and family needs. Her prayer is that when God opens the door and she gets support for a business she will expand her business. This she believes will change her story. Harriet’s health is fine according to her. Through the H4WI program she believes she will be able to afford basic needs for her family, expand her business and live a life of hope. Harriet is 47 years old. She is the first born out of five children. She dropped out of school in primary 2 because her parents had a negative attitude toward education. She is a mother of 6 children: Edrisa (25), Keziah (20), Aisha (18), Nalwoga (17), Nazer (15), Sarah (13) and Brenda (12). She got married to her husband who was a peasant in 1992 and produced with him 6 children. She separated with her husband in 2015 and since then life has been very hard for her financially. Harriet’s current business is of selling retail shop items with a capital of 100,000 shillings. The profit she gets is not enough to sustain the business. Her prayer is that when God opens the door and she gets support for a business, she will expand her business for more profits. This she believes will change her story. 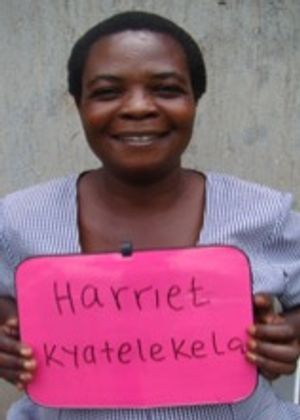 Harriet is HIV positive for the last 10 years. She is on ARVs. Through the H4WI program she believes she will be able to expand her business, afford a balanced diet, buy basic needs for her family and educate her children. Specioza is 50 years old. She is the fourth born out of thirteen children. She dropped out of school in primary 2 because her parents had a negative attitude towards girl’s education. She is a mother of 5 children: Mbabazi (24) married with 4 children, Robert (23) married with 2 children, Nabufo (21) married with 2 children, Basumwa (20) married with 2 children and Mumbe (18) years not married. 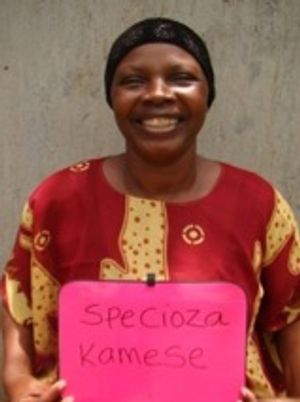 Specioza got married to her husband who is a peasant in 1994 and produced with him 5 children. Her husband is poor financially and this has made life hard for her financially. Her current business is of selling produce with a capital of 70,000 shillings. The profit she gets is not enough to sustain the business and basic needs of her family. Her prayer is that when God opens the door and she gets support for a business, she will expand her business for more profits. Through this she believes will change her story. 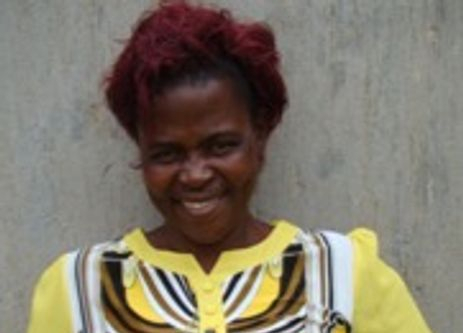 Specioza has high blood pressure and ulcers which has disturbed her for the last 19 years. She gets treatment from the nearby health center. Through the H4WI program she believes she will be able to afford basic needs for her family, expand her business, get proper medical treatment and educate her grandchildren. Betty is 42 years old. She is the third born out of 9 children. She dropped out of school in primary four because her parents lacked school fees. She is a mother of 4 children: Angel (19), Oscar (16), Anita (14) and Brenda (10). She got married to her late husband who was a builder in 1998 and produced with him 4 children. Life has been hard for Betty financially since the death of her husband in 2014. Her current business is of selling tea and chapatti with a capital of 40,000 shillings. The profit she gets is not enough to sustain the business and her family. Her prayer is that when God opens the door and she gets support for a business, she will expand her business. She believes this will change her story. Betty’s health is fine according to her. Through the H4WI program she believes that she will be able to educate her children, afford basic needs for her family, expand her business and live a life of hope. Joyce is 70 years old. She is the third born out of eight children. She never went to school because her parents had a negative attitude towards education. 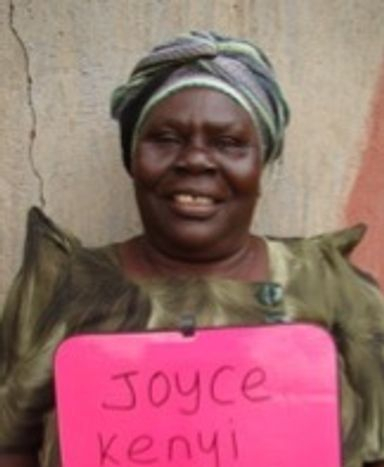 Joyce is a mother of nine children: John (38), Stephen (36), Peter (34), Kenneth (32), Rachael (30), Isaac (28), Grace (26) Paul (24) and Jimmy (22). She got married to her late husband who was a peasant in 1980 and produced with him nine children. In 2014 the husband died. Life has been hard for her financially. Her current business is of selling assorted vegetables and charcoal with a capital of 50,000 shillings. The profit she gets is not enough to sustain the business and cater for her family needs. Her prayer is that when God opens the door and she gets support for a business, she will expand her business. She believes this will change her story. Joyce has high blood pressure which has disturbed her for the last 5 years. She gets treatment from the nearby health center. Through the H4WIprogram, she believes she will be able to afford basic needs for her family, expand her business and get proper treatment. Lucy is 28 years old. She is the second born out of 5 children. She dropped out of school in primary five because her parents had a negative attitude towards girl’s education. She is a mother of 4 children: Henry (11), Judith (9), Faith (6) and Ngolobe (4). She got married to her husband who is a peasant in 2010 and has produced with him 4 children. 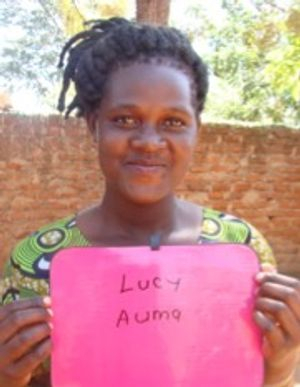 Life is hard for Lucy financially because her husband is poor and cannot support her financially. Her current business is of selling plastic plates with a capital of 50,000 shillings. The profit she gets is not enough to cater for her family’s basic necessities. Her prayer is that when God opens the door and she gets support for a business, she will expand her business for bigger profits. She believes this will change her story. Lucy’s health is fine according to her. Through the H4WI program she believes that she will be able to afford basic necessities for her family on time, her business will be able to grow, she can afford to educate her children and she will be self-reliant. Justine is 39 years old. She is the second born out of nine children. She dropped out of school in form 3 because she lacked school fees. She is a mother of four children: Rebecca (13) , Leah (11), Vick (9) and Enoch (7). She got married to her husband in 2000 and produced with him four children. In 2016 she divorced the husband and since then life has been too hard for her financially. 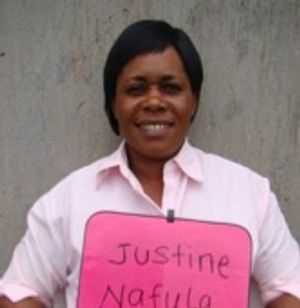 Justine’s current business is of selling charcoal with a capital of 50,000 shillings. The profit she gets is not enough to sustain the business. Her prayer is that when God opens the door and she gets support for a business, she will expand her business by adding retail shop business. Through this she believes her story will change. Justine’s health is fine according to her. Through the H4WI program she believes that she will be able to afford basic needs for her family, pay school fees for her children, expand her business and live a life of hope.